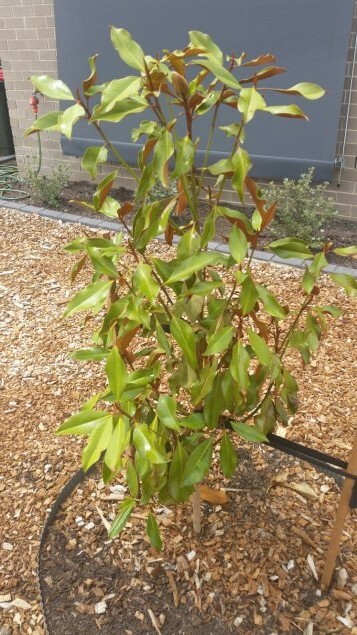 Advice for sick Kay Parris Magnolia plant? Hi, new to this forum and hoping someone can help! Two weeks ago I planted a beautiful Kay Parris Magnolia in our front yard. Western facing, full sun, created a garden bed filled with lovely soil with the typical Canberra clay beneath it. It has now turned rather ill looking. The bottom leaves are becoming dry and crunchy, the flower bud looks like it is drying out (it was a crisp white colour, now a shrivelled brown…) and the plant in general does not look healthy. 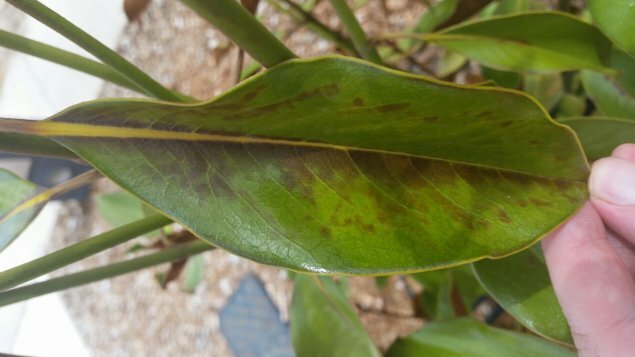 Getting a brown/black growth from the centre of the leaves. Giving it a water every night (once sun sets) for around two minutes at present. Planted another one week ago and so far, it looks fairly healthy. Any help would be appreciated please. Or have I just made an expensive mistake putting a Magnolia in these conditions? 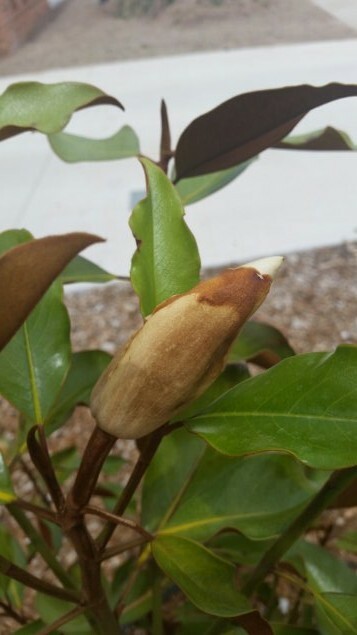 We have two Kay Parrises in large pots – not in an ideal position (some afternoon sun/winds), and while they have a few windburn patches on some leaves, they’re glossy and thriving, growing faster than I would expect from magnolias. (We also have a hedge of port wines on the eastern side of the house that are pretty slow-growing). What was the root ball like at planting? Was it pot bound at all? Did you tease the roots out? If not, the roots may just be growing round in circles rather than expanding out for nutrient uptake. The plant won’t have any specific problems, just generally sickly as yours looks. Magnolias tend to like sunny but sheltered spots away from the afternoon sun and hot winds. They can suffer from wind burn, which looks rather like what you have in the photo. I have my two, a Vulcan and a Port Wine, in a well sheltered corner of the yard that gets the morning sun but is protected from the wind. Is the second one closer to the house or more protected from the wind? You could try replanting the ailing one somewhere more sheltered.